Art in the Alley is a movement. Getting creative, we are here to take a unique approach in bringing art back to our community. We want to influence both young and local artists alike, and will do so by encouraging the working of art into everyday life. Through painting the city, we will educate the public about the benefits of street art - and show how it can inspire the community. Are you an artist wishing to showcase your art in a public space? Do you want to be a pinnacle part of a movement infiltrating art into everyday life? Would you like to see your art featured in downtown Daytona, a world class destination? We are looking for people like you: Artists. Painters. Muralists. Drawers. Sketchers. Creators. People looking to be a part of a ripple that could inspire an art movement. Fill out the forms below and link your portfolio* to get started! *The review board advises in the selection of artist and artwork submitted for Art in the Alley events. Artwork must be approved by the review board to ensure that it follows our rules and guidelines. What theme would you be interested in seeing at Art in the Alley? Help us bring this project to life by becoming a sponsor! Fill out our contact form and we will send you a sponsor packet with all of the details. 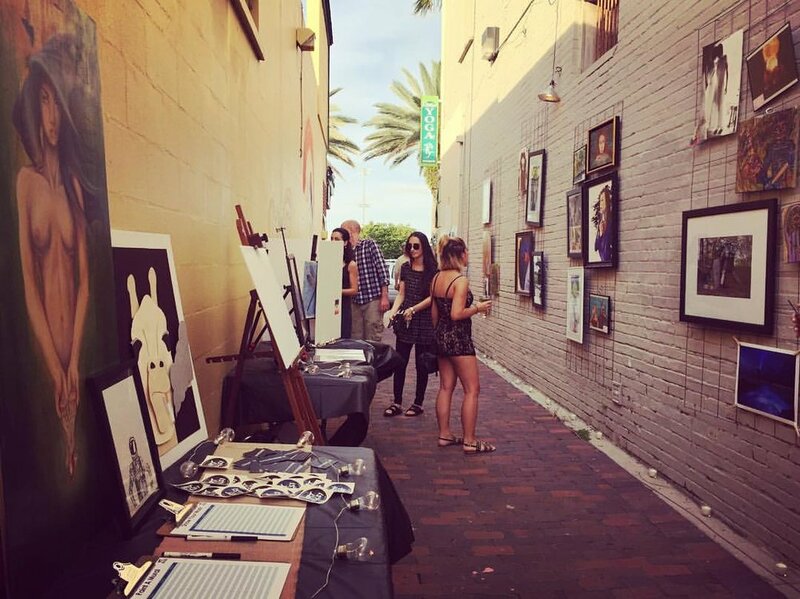 Art in the Alley is an entirely community driven project dedicated to Downtown Daytona. Help us keep Art in the Alley going so that we can bring the arts to Downtown! Follow us on social media and spread the word.